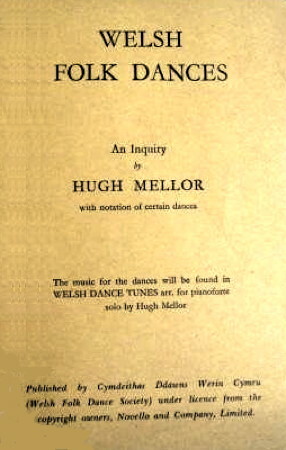 Information: Hugh Mellor, author and publisher of books about dance. The English Dancing Master. Playford, John. Facsimile reprint of the 1651 edition. London: Hugh Mellor, 1933. Welsh Folk Dances. Mellor, Hugh. London: Novello, 1935. Background and instructions for 12 dances.